Give your dining room a new nautical look with the Fast Sailboat II Framed Art. 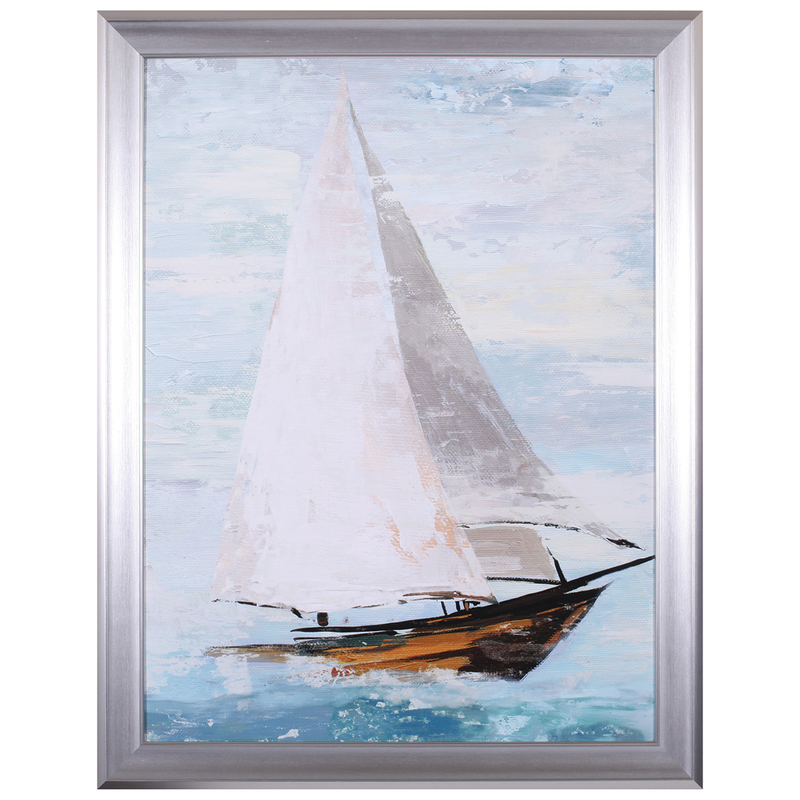 This wall d�cor features a contemporary sailboat print surrounded by a brushed silver frame. 32"W x 1"D x 40"H; 10 lbs.